Starting to plan your next vacation? Do you dream of taking your fish with you? Here are some tips on how to do it safely. If you must take your fish with you because you’ll be gone for a while or you are moving, here’s how it can be possible. 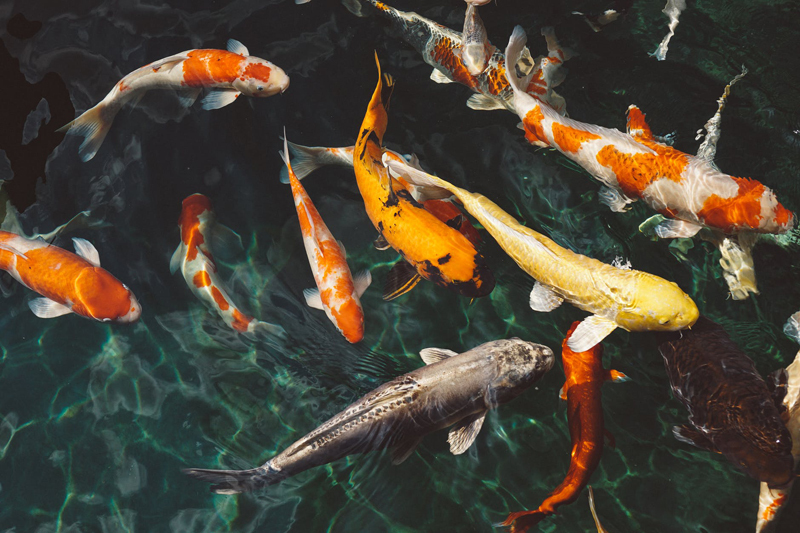 We have talked about how to keep your fish safe at home while you travel, but if you really want your fishies with you, follow a few thoughtful steps so they can feel at home on the road with you. If you have fish in a bowl or small tank and they are fish you normally keep like this without a filtration system - this will be easier for you and possible for them to be kept safe and happy by you on your road trip together! Not needing electricity for a water filter or other equipment for certain fish will allow you to take your fishy friends along with you since life for them won’t be much different than it was for them at home - just more eventful. Pet fish love to see what’s going on outside the bowl for entertainment. You just have to first make sure you provide them with everything they need for health and safety and their normal routine. Put less water in the bowl or tank or container so your fish won’t slosh out of his home and find a safe place where nothing will fall on him. Place towels or shoe boxes or rolled up newspapers or other items like that around the your fish’s home to keep it in place. Make sure his home has a vented lid to keep him safely in there and with plenty of oxygen. Be sure to place him within eyesight just in case. Change his water on his usual water change schedule. Feed him his usual food on the regular feeding schedule you have for him. You will need to still monitor the water temperature, but if you have the floating type of aquarium thermometer, get a stick-on aquarium thermometer so your fish is not damaged by movement of the thermometer. In fact, be careful which toys or plants you keep in the tank with your fish because you must be aware of anything with pointed edges or that can crush or otherwise hurt your fish - and remove these from the tank before your trip. Find a safe, level, secure spot in your vehicle with you and easy does it on the driving! Keep your fish’s location out of drafts and no direct sunlight. Continue your usual great care and love of your fishy so he has that sense of continuity of your presence and nurturing. You are truly taking the ride together, for you have to constantly be aware of his presence and cannot just leave him there alone nor can you forget to not toss any luggage or clothes, etc. in his direction. This is one good reason to choose his travel spot with much thoughtfulness and care in advance. Provided you can do all of these things for your little charge, you can both have a fun journey together! Oh, and by the way, if you are going on a plane, it is a shorter trip, and so it is possible to carry your little friend in a small container and hold him on your lap the whole time. Check with your airline in advance. I know someone who has carried her betta fish onto planes with her twice a year for several years as she moves to her winter home in a warm clime and back up north in the summer to avoid the heat down south. Just ask your particular airlines in advance what their exact policies are on this so there won’t be any unpleasant surprises on your trip! If it’s a short and sweet flight and the weather isn’t too hot or cold, then your fish will be fine.